Do you, or your loved one, need assistance around the home? We’ll make sure you’re well taken care of. We provide help with activities of daily living, medication management, complex care management, emergency response systems, skilled home health, and much more. Generation Solutions’ services provide the the peace of mind you, or your loved ones, need to stay in the comfort of the home. 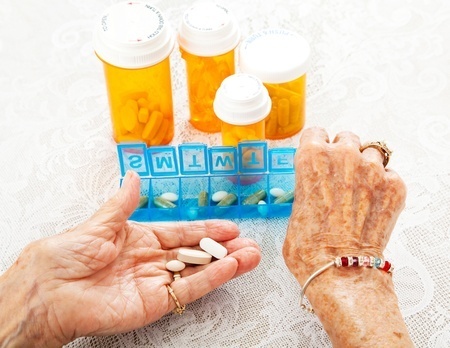 As we age, we tend to depend more on prescribed medications and supplements to keep us healthy. But, remembering to take the right pills consistently at the right time can be challenging. Instead of worrying about a missed dosage, taking an expired medication, or forgetting to pick up a refill, our team will provide a medication carousel and manage administration. Our goal at Generation Solutions is to make sure that you, or your loved ones, have the support you need to stay comfortably and safely at home for as long as possible. Proper medication management and medication delivery help ensure physical health, safety and peace of mind. If you are looking for a bit more support, you may benefit from working with a geriatric care manager. Geriatric care managers assist seniors by communicating between family members and medical care professionals. They keep track of medication lists and medical history and make sure that care is perfectly coordinated between medical professionals, doctors, specialists and caregivers. We can solve any of your technology needs. From Personal Emergency Response Systems to smartphone and laptop problems. We will work with you to create customized packages that ensure you safety & convenience. We offer, computer and phone repair, medication delivery devices, emergency response devices, fall detection, home monitoring, and technology consolations. Our technology consultations are in home affordable one on one lessons taught by our Manager of Technology. These consultations will give you the knowledge to use and operate the technology devices that are a hassle to set up or confusing to use. Our TECHnology Solutions team is dedicated to creating customized technology solutions for any of your needs. Long Term Care Insurance can be confusing and filing a home health claim can be difficult at times. Generation Solutions can simplify this process for you, and we file all billing and handle collections free of charge! Our team will help you better understand the terms of your policy, interpret confusing language, and file cumbersome paperwork. We will assist with processing the initial claim and monthly filing free of charge. We will keep records of all communications with the insurer and be your advocate. Follow up with phone calls, letter, fax or e-mail if necessary on your behalf. Generation Solutions also works closely with an Estate and Financial Planner to assist with additional questions/needs. A free financial consultation is available. Call (434) 455-6500 for more information. Generation Solutions believes that getting your affairs in order prior to needing home health services is vitally important. That’s why we offer our client’s and family members the opportunity to complete pre-admitting paperwork in advance. Ensure that your decisions are your decisions, not someone else’s. Alleviate unnecessary last minute stress associated with finding care for yourself or a loved one. When care is needed, it’s as easy as making one phone call for a nursing assessment, all other paperwork has been completed. Please be aware that prices are subject to change and that we require at least a 48 hour notice prior to services beginning. Call today at 434-455-6500 for a no-obligation, free consultation in the convenience of your home or our office if you prefer. I chose Generation Solutions to care for my Grandmother who has lived with us for the last eight years for a variety of reasons. Quite frankly, I did not have the time to devote to my young family and wife, as well as run my family business while still trying to meet the needs of caring for my Grandmother. Generation Solutions provides her with the skilled care she deserves while giving me the peace of mind I need. Taking care of families is my top priority. I recognize that quality in GS also.